Over the coming days and weeks we’ll be debating the 2012-13 Michigan basketball team with a number of people that cover the team daily. In a new feature called Ask the Beat we reached out to Michigan basketball beat writers to answer some of our questions about this year’s team. Rod Beard of the Detroit News, Nick Baumgardner of MLive.com, Rob and Joe White of iSportsWeb all agreed to join up. Our third question looks at Michigan’s freshmen and what we should expect from the incoming group. Previously: Which departure will be missed the most?, Will Michigan be an uptempo team in 2012-13? Which freshman will make the greatest impact on the 2012-13 season? Nick Baumgardner (MLive.com): Everyone always goes back and forth on McGary and Robinson — I’d say McGary might have a bigger impact early in the season just because of his size, while Robinson might be the best freshman on the team in the long run because of his athleticism and potential. I’ll be different, I guess. The role Nik Stauskas plays on this team might be as important as anyone. If he can be a consistent knock-down long-range shooter well into Big Ten play, then Michigan will have something it absolutely didn’t have last season. The Wolverines had a ton of bodies who “could” shoot the 3 last year, but no one seemed to ever been overly consistent (except Burke) for long periods of time. We don’t know what Stauskas can do at this level, we just know what we’ve heard and seen from prep tape. If he comes off the bench with the ability to knock down open looks, and then shows he’s able to adapt and create his own shots from time-to-time, he may be the biggest surprise of all. The better he shoots, the more he plays. And the more he plays, the longer Michigan gets (he’s 6-foot-6). So, really, it’s a win-win. Rod Beard (Detroit News): The chic pic is McGary because of the size he brings in the middle and the rebounding help he’ll bring. 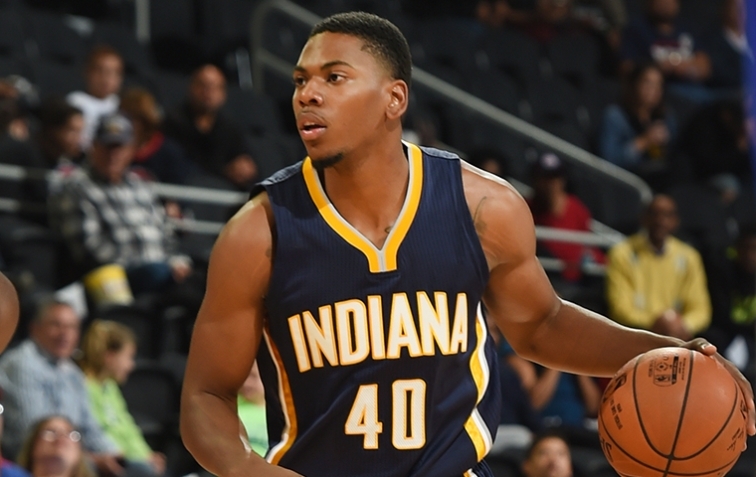 I’m going to say Glenn Robinson III will be just as vital because of the athleticism he brings to the wing position. If he starts at small forward, it allows Tim Hardaway Jr. to move to shooting guard, which will be one of the best backcourts in the country, when paired with Trey Burke. If Robinson can be a better rebounder than Hardaway has been, it’ll provide a much bigger advantage inside. He’ll also be a more prolific scorer in the starting lineup and will give another penetrating option form the perimeter. Rob White (iSportsWeb): Michigan has a trio of freshmen who should see significant minutes this season. I’ll break down all 3 of them and let you know who I think will have the biggest impact. Glenn “Tre” Robinson III: He should start from day one and has all the tools to be a prolific scorer for the Wolverines. His ceiling is so high that I’ve heard “one and done” talk surrounding his name. There isn’t much Robinson can’t do. He was an outstanding defensive player in high school. He can shoot the three and has a great mid-range game. Robinson is a dynamic athlete who can make plays in the open court and finish at the rim. Mitch McGary: Last year I described McGary as a 6-foot-10 version of Zack Novak. He is a tireless worker who will crash the boards with a vengeance. McGary can shoot the rock and has the size to bang in the paint. McGary could end up being Michigan’s leading rebounder. Nik Stauskus: What’s not to like about a 6-foot-6 player with a pure shooting stroke. He knocked down 78 of 91 three-pointers in Michigan’s 50 in 5 minutes drill. He is also a good ball handler who should be able to drive and create. Stauskus’ biggest impact this year will come from beyond the arc. With his all-around game and scoring ability, I think Robinson will have the biggest impact. He will cause stress for opposing defenses and can play a little D as well. That’s not to take anything away from McGary and Stauskus though. I think they will both have tremendous freshmen campaigns. Dylan Burkhardt (UM Hoops.com): I think Nick, Rod and Rob have all laid out a pretty strong case for each one of Michigan’s top-100 freshmen. Michigan loses what amounts to almost its entire production at the two and four spots from last year’s squads and the top three freshmen are each likely to spend significant time at one of those two positions. The opportunity is clearly there to make an early impact. For what amounts to the entire Zack Novak era, we’ve crowed to get rid of small ball. I’m tired of watching Michigan get out-rebounded and pushed around on the block too, but I think it’s foolish to throw away the small ball elements that have been so effective under John Beilein. For that reason, I think Glenn Robinson III could be the most important Wolverine freshman. At 6-foot-6, 210 pounds Robinson is the perfect combination of size, athleticism and skill to thrive as an undersized four, even in the Big Ten. He’s nowhere near the scorer of say, Deshaun Thomas, but he has the frame and tools to match-up with the versatile sort of four men that have become so dominant in college basketball. There are times that a front court of McGary and Morgan might be useful but the potential excitement with a lineup featuring Hardaway, Robinson and McGary in the top three spots is tantalizing. Robinson has the ability to change this team’s dynamic on both ends of the floor. He can force turnovers, attack the basket and perhaps most importantly, be a game changing rebounder from the wing.